‘For more than a quarter of a century, Murphy’s Law has provided the last word on things going wrong. Positive thinking is all very fine when the world is treating you right, but when things go awry, it's Murphy's Law that comes up with the goods-the pithy revelations and undeniable truths that document our limitless potential for misplaced insight, hopeless wit, and pessimistic wisdom. This special anniversary collection features the best of Murphy's Law--plus new 21st-century entries proving that with advances in technology, even more can go wrong. Murphy’s Law is a hilarious take on why things go wrong; compiled by the American writer Arthur Bloch. I make a lot of statements and hold certain views which are often deemed highly pessimistic (even though I take cover under the word pragmatic) and yes, needless to say, a certain friend of mine relentlessly suggested this book. It was felt that I would definitely like it and as I could relate to the book a lot and I did get a killer of an offer for the Kindle edition at INR 31 (~0.41 EUR) and before too long, I started reading the book. Have you ever wanted to fish something out of a bag, where there might be three possible things you might draw and what you want would come to you only the third time? This book is a collection of one liners (or maximum of four) as to why things go wrong, some of which are sensible and relatable, some of which are outright pessimistic and a few are just needless smart alec comments which could get you into trouble if you actually go about making those statements to the intended (such as your boss). It covers on most common subjects, as to why things go wrong, such as technology, office, hierarchy, economics, government, bureaucracy, etc. I liked the way in which the book was presented, collecting some popular quotes (though I don’t know as to how much of it was the author’s imagination) and sometimes, for a purely positive quote, providing a negative corollary to explain why things go wrong. I also felt the author covered almost all topics where the reader could link to at least 15 out of the 20 chapters in the book. It was also a book where I highlighted a lot, at least around a hundred statements made in the book, and incidentally, some of them were things that I had said it myself in the past (such as my views on plagiarism). This was a really enjoyable read, and also very quick to read, but a note of caution is that this is not something that is to be read with a serious frame of mind. I thoroughly enjoyed reading it, and I am sure that most readers would, too, because the situations are something that we have encountered ourselves. It is an occasion where I have really enjoyed a book that came as a suggestion and on the whole I would award the book a rating of eight. 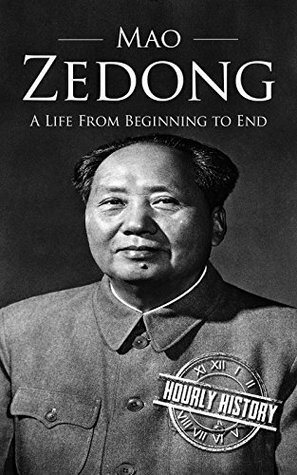 This is a short biography of the controversial Chinese leader, Mao Zedong, who is regarded by some as the architect of modern China and others, as a brutal dictator comparable to Hitler and Stalin (incidentally, he had a close relationship with the latter). 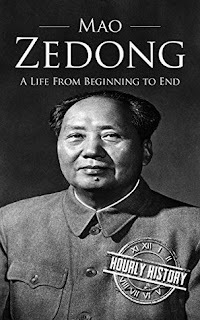 Mao had a modest beginning, and considering the standards back then, he was from a wealthy family considering they held a farmland of their own and the book goes on to describe how his father instilled the discipline in Mao. It then goes on to talk about his failed pursuits of higher education and as to how he was suddenly inspired by the ideas of revolution, the communist ideology even though he differed with the Soviet version as he believed China was more agrarian than Russia. It then went on to describe the conflict between the Nationalists and the Communists and how they united to face the common enemy in Japan. It then goes on to talk about Mao’s retreat – the long march, followed by his eventual victory against Chiang Kai-Shek’s Nationalists, thus officially establishing a Communist State in China (barring Taiwan where Chiang Kai-Shek was in charge of the government in exile) and what he did later, the policies he had in place, the Red guards that he created, among various other things. The book was very detailed, and gives a glimpse of the situation in China, with regard to the society, their leanings and their inclination towards the nationalists. It also gave a reasonable account of their role in the Second World War against Japan and some of the gruesome events as part of it. It also established Mao’s personality in detail, the pragmatist, idealist who wouldn’t hesitate to impose his ideology and his relentless fight against imperialism. As aforementioned, Mao’s effectiveness is debatable and this book made a reasonable effort in touching upon both good and bad aspects of his administration. However, the extent of detail was a demerit as well, considering, while the Nanking Massacre during the Second Sino-Japanese war is an integral part of modern Chinese history, they failed to establish as to how it was relevant in this book considering Mao stayed relatively silent during the period. Additionally, although I did state that the book did touch upon some of the bad aspects of his administration, it failed to quantify any of it, wherein, it is alleged that through his flawed policies, he has been responsible for the deaths of close to 71 million people (upper limit) through the purges he conducted against counter-revolutionaries, his failed industrialisation policy leading to a mass famine, and the atrocities committed in the name of The Cultural Revolution. Considering the seriousness of his flawed policies, I felt it required much more attention than whatever it managed to garner and in that sense, it is a failure of this biography. I would say this was a decent biography considering they didn’t try and go out of the way to justify every action of Mao but then, I felt the attention was fully on Mao the revolutionary and very little on Chairman Mao. Considering that, I would award the book a rating of five on ten. 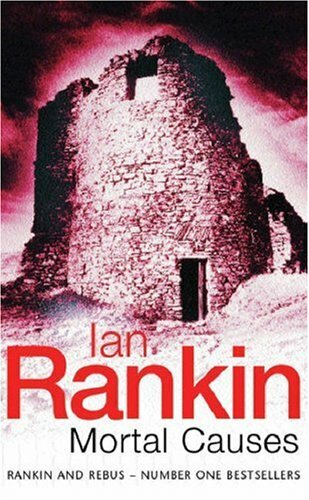 Mortal Causes is the sixth instalment in the John Rebus series of Ian Rankin. In this book, Rebus deals with the sectarian crimes and paramilitary groups related to The Troubles at Northern Ireland. 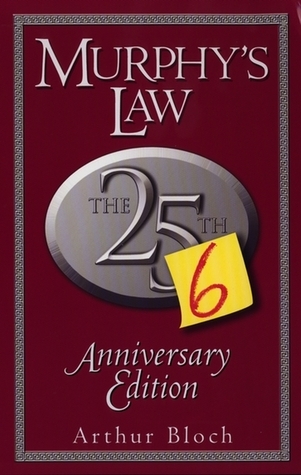 Note that the book was published in 1994, four years before the end of The Troubles. It is the time of the Edinburgh festival, and the city is abuzz with tourists while the police find a body inside a cellar in a more isolated area of Edinburgh, seemingly tortured before killing, in a modus operandi typical of that of the paramilitary groups in Northern Ireland, especially the Irish Republican Army. It also so happens that he is the son of a notorious gangster whom Rebus crossed swords with in the previous book (The Black Book), being Big Ger Cafferty. The special branch has been assigned to track down this crime and this is perhaps, Rebus’ most dangerous case till date, considering, he is dealing with groups that have dangerous weapons, receive funding from across the world and don’t have second thoughts about killing those who might potentially trouble them. Rankin claimed in one of the interviews that he brings out issues of the society through his crime novels and considering the time of release of the book, it was appropriate that he chose the topic of paramilitary groups and their links to Scotland. As always, I enjoy the cynicism (I’d quote his view on Scottish-Irish relationship below) in his writing, especially the ones expressed by Rebus along with his tongue in cheek comments. The book had very little scope for sub-plot and every chapter focused on Rebus and his investigation, and Edinburgh, in particular was used very well – the various locations, the historic distrust between Catholics and Protestants (eg; left-footers) and how each side had different sympathies for various factions during the troubles. I also liked it where the author took it out of Scotland for a short while, wherein, Rebus revisited Belfast; he did have an army background serving in Northern Ireland as introduced in Knots& Crosses and it was good of him to bring back this background of his, considering Rebus does have experience with these groups in the past. This book might perhaps disappoint those who expected to see a bit of the personal side of Rebus, there was no mention of his ex-wife Rhona, or his brother Michael, there was a passing mention of his daughter Sammy where it was revealed that she was in London. Additionally, I felt a way too many people were investigated, for a 320 page book that sometimes, I lost track and even used to get confused between two different persons that I had to flip the pages back again, to confirm the identities. It was a very good rebus novel, containing all quintessential elements of a Rankin and Rebus novel, and yes, solve before the police is possible in this novel. It has also laid a strong foundation for the next book, establishing further animosity between Cafferty and Rebus and thus, it would an interesting instalment to look forward to. I would award the book a rating of seven. 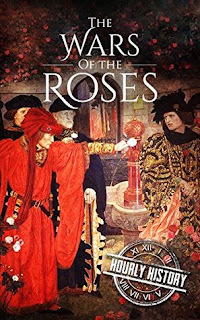 This is a short account of the event in English history during the 15th Century; The Wars of the Roses, an event that has inspired several other stories, with the most famous one being The Song of Ice and Fire (Game of Thrones) by George R.R. Martin. The book starts with the description of the events leading up to the war of succession to the English throne, caused by the turmoil after the English defeat to the French in the Hundred Years war. This started as an internal power struggle within the ruling House of Plantagenet between the cadet branches of House of York and House of Lancaster; with the ruling king being Henry VI, a member of the House of Lancaster. Over the 30 years of the war, the power changed hands several times, the House of York was in power for twenty years before the war ended and the Tudor era began. The book made a proper start, that is, from the Hundred Years war before getting into the finer details and the breakout of a gruesome war. I was always interested in knowing about the details mainly because of my following of British sports and very often references are made to the Roses Rivalry, whenever there is a match between Yorkshire and Lancashire (in cricket); as the House of York was symbolised by a white rose and the House of Lancaster by a red rose and the same logos are used by the respective cricket teams. 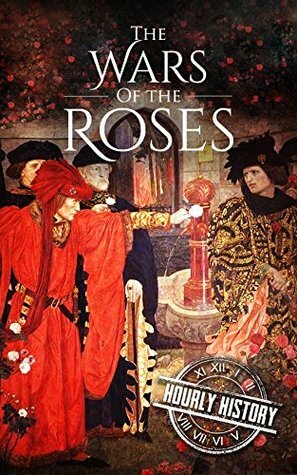 The book was concise, while managing to give a crux of what had happened during the War of Roses and the detailed account of how the fortunes turned for both sides throughout and its eventual conclusion. The only issue I found was that considering all these are coming from one publishing house, one book should not contradict with another; while it is evident that the Hundred Years War resulted in a defeat for the English forces and the book stated the same, rightly so, in a book of Hourly History called British History in 50 events, the same claimed that it was a status quo ante bellum with no clear winner. Based on the above, I would award the book a rating of seven on ten; it is a good read for those who are interested in English history and also, all those Game of Thrones fanatics, who could spend some forty minutes knowing about the event that inspired the story. 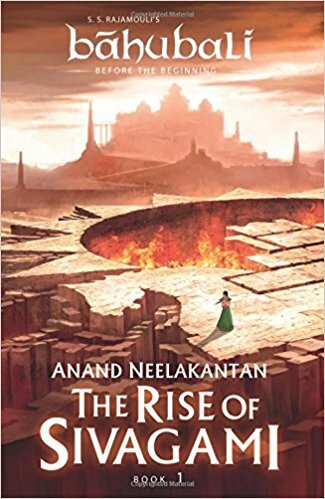 ‘When five-year-old Sivagami witnesses her father being branded a traitor and executed by the Maharaja of Mahishmathi, she vows to one day destroy the kingdom. At seventeen, she recovers a manuscript from her crumbling ancestral mansion. Written in a strange language called Paisachi, the manuscript contains a secret that may redeem her father or condemn him further. Meanwhile, Kattappa, a proud and idealistic young slave who blindly believes in his duty, finds himself in the service of a spoilt prince. Alongside, he must try and keep his brother, who resents their social position and yearns for freedom out of trouble. 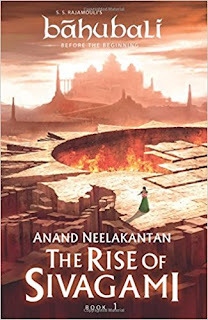 This is a prequel to the Bahubali franchise, a bilingual Telugu-Tamil film which took the Indian film industry by storm, both for its extravagance and storyline; and the prequel is the story of the famous character from the film – Sivagami; written by Anand Neelakantan, the author of bestsellers such as Asura and Ajaya: Roll of the Dice. Note: I shall be using the names of places and characters as per the names in the book and not the Tamil names which I am more familiar with (eg – Mahishmathi instead of Magizhmathi). Sivagami is a seventeen year old girl, living with her foster father; about to be handed over to the Royal Orphanage and she thinks of her five year old self, wherein she witnessed her father, a nobleman in the kingdom, executed for treason after being subjected to torture. From then on, her ambition is vengeance against the royal family of Mahishmathi and destroying the kingdom. The story also focuses on the life of the other famous character from the film; being the slave Kattappa, his origin, his family, his love for his brother and his devotion to the duty of protecting Prince Bijjaladeva. The book also focuses on the governance of the kingdom, the nobility, the corruption in the system which various conspirators are trying to exploit in order to gain control of the kingdom. There is also a romantic sub-plot between Shivappa (Kattappa’s brother) and a girl from the orphanage. The film focused a lot on the story but concentrated very little on how the kingdom was run and it was good that the author established that in the very first book of the series; giving the viewers a clear picture of who were the powerful people besides the royal family and who all held the influence. The author has also brought out the contrasting characters of a lot of individuals very well – Sivagami with her courage and ability to stand up to authority, Bijjaladeva the spoilt prince, Mahadeva the prince who is a pacifist which gets construed as him being cowardly, Kattappa and his loyalty and Shivappa and his idealism. The book was also fast paced, wherein, the extent of fillers was very limited and every sub-plot was moving quite fast to meet at a common point. The story was also very well written by the author, with good choice of words and phrasing and with very minimal editing issues. The only aspect I found was that the author perhaps assumed that the people who read the book would have seen the film, and thus, his description of the fortress of Mahishmathi, was lacking, because the readers would immediately tend to visualise the grand portrayal of the same on the silver screen. I also felt there were occasions where he was merely reversing the situation in the film and adding it as a plot to the book; such as Prince Mahadeva’s (Bahubali Sr’s father) fancy for Sivagami. Additionally, I also felt that he introduced too many sub-plots at the same time that it became difficult to handle at times and I was only glad that he had initially given the list of characters without which I would have surely been lost. So, I would say that this is a fine start to the franchise, this is the first time I am reading a book based on a film (the other way round has usually left me disappointed) and I was quite satisfied with the first instalment and I am looking forward to more. Based on what is stated, I would award the book a rating of seven on ten.